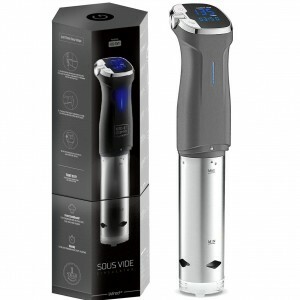 Sous Vide Cooker uses a heating element and a propeller to heat the water and circulate it around the pot. 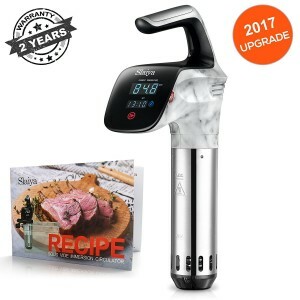 You can set an exact temperature and time so that you cannot go wrong. 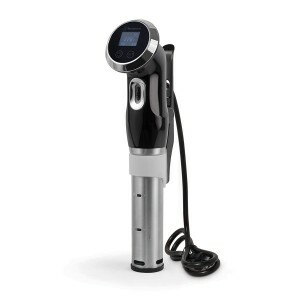 It is an amazingly easy process with astounding results! 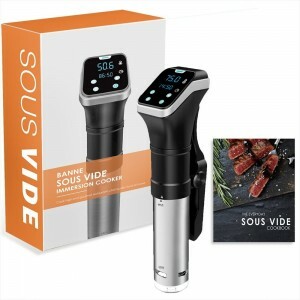 Try it for yourself and see why everyone is raving about the Sous Vide Cookers.